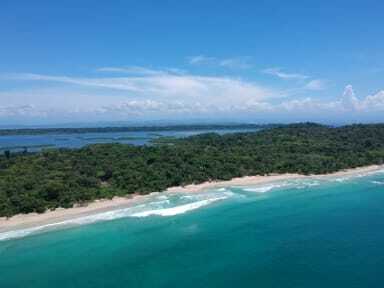 Palmar Beach Lodge i Bocas del Toro, Panama : Boka nu! If you are lucky to stumble across this gem, I cannot recommend enough: stay here!! Palmar feels luxurious while still keeping the genuine vibe that us travelers search for. Lots of space and areas to chill or stay busy around the lodge. 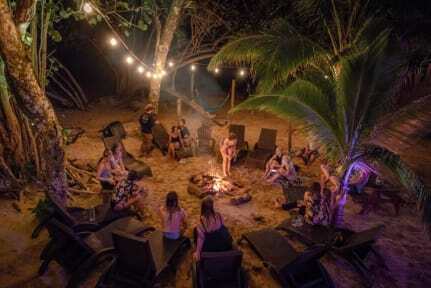 You can spend the whole day relaxing on the beach (literally your backyard), or you can partake in the many activities hosted by the friendly staff: yoga, bonfire nights, fire dancers, trivia night, pool tournaments etc. I can’t wait to return! Thank you guys!!! All and all an ok experience. But since the place are right by the beach it is sand everywhere, not so clean. When we arrived the staff said they didn’t have two beds in the same dorm. That’s really bad. And they were really slow with the service in the restaurant.